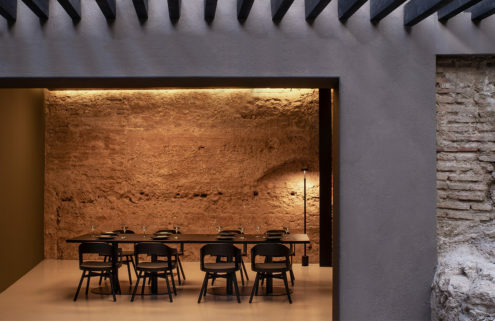 Avocado-lovers in Madrid can rejoice at the arrival of AÜAKT, a new dining spot in the Chueca neighbourhood inspired by this simple yet decadent green fruit. 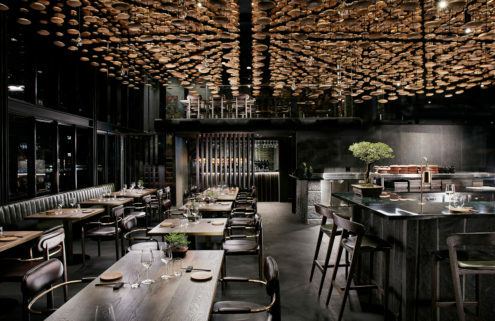 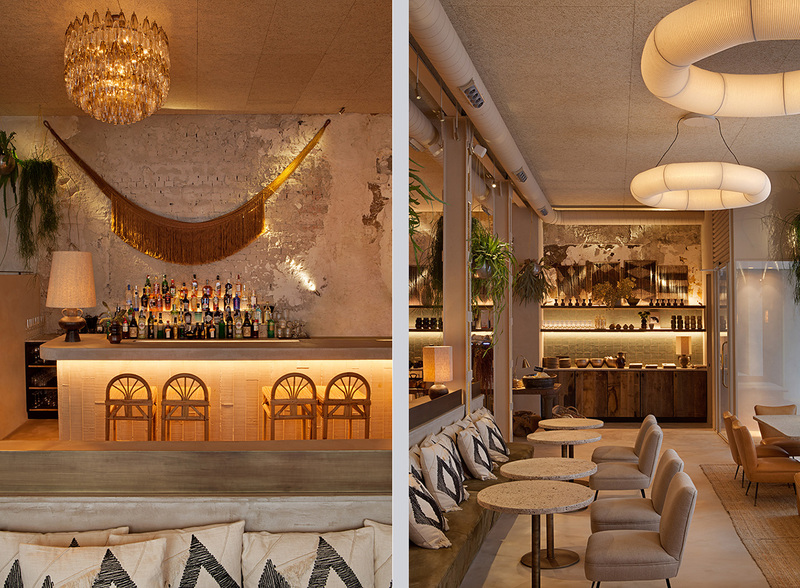 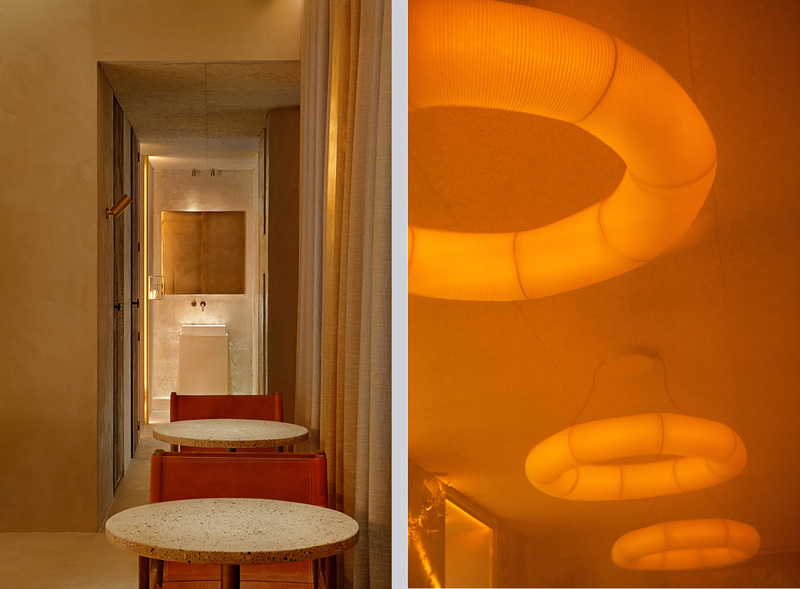 Studio Madrid In Love created the restaurant’s interiors, in which recycled woods, green foliage, warm lighting and hand-woven accessories evoke the tropical climates that bear green gold. 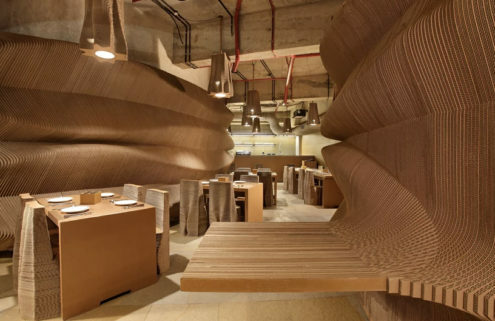 AÜAKT (a play on the Spanish word for avocado) is driven by the Japanese wabi-sabi concept, which champions the beauty found in simplicity and imperfection – much like the rough but inviting exterior of the avocado. 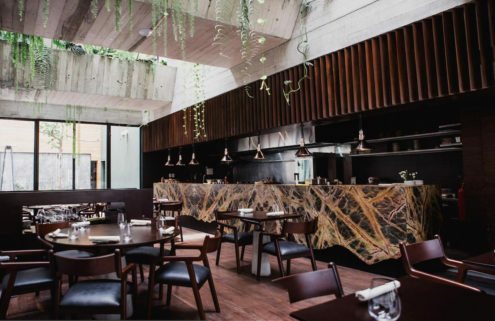 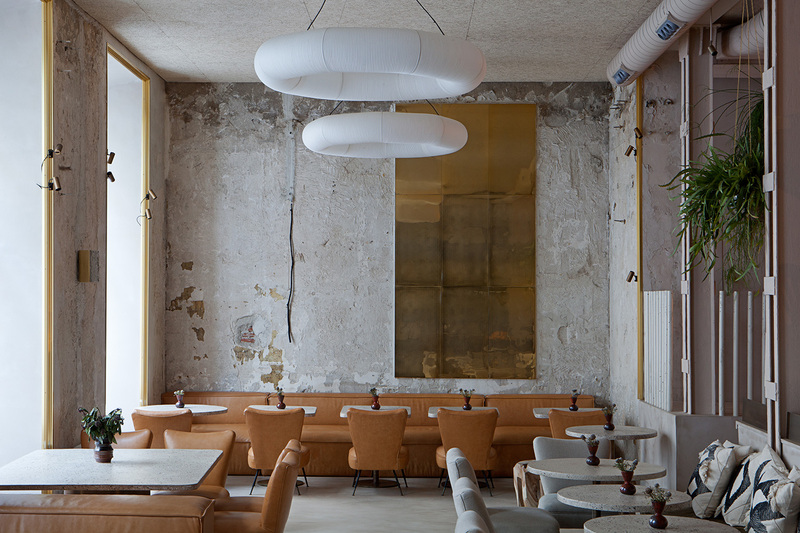 Cement features heavily in the space, from bare and battered walls to flooring and tables, whose terrazzo pattern was created using soil from the restaurant’s own avocado groves in Valencia and Nerja. 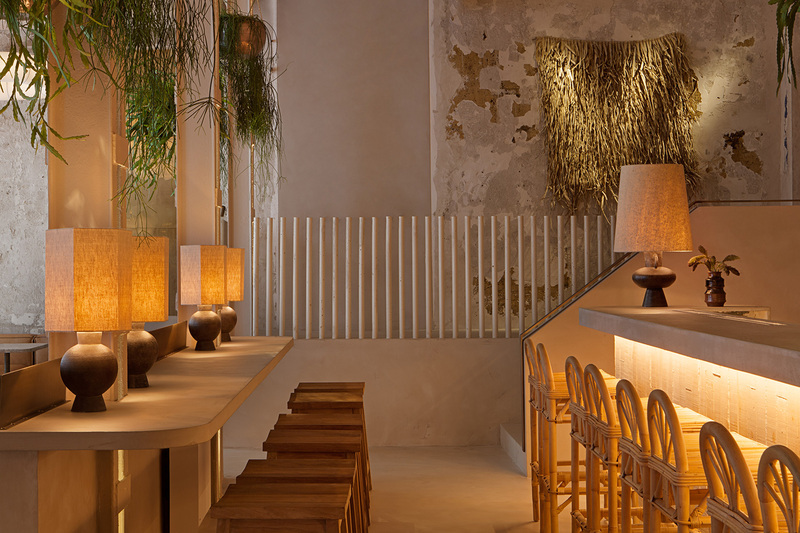 Softer touches come from the like the tekiò lamps by Santa & Cole, hand-painting ceramic tiles and the Venetian glass chandeliers that contrast the earthiness of the wooden stools and leather seats. 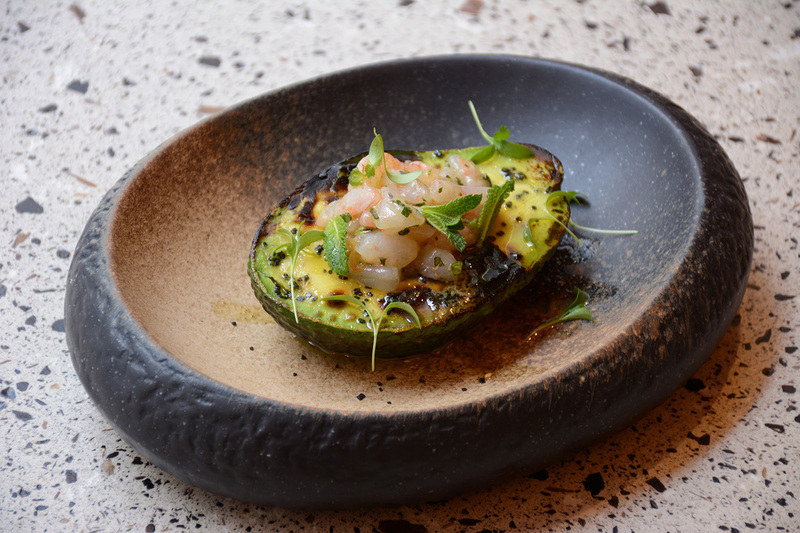 Unsurprisingly, avocado also features across the Madrid restaurant’s menu, grilled and topped with shrimp tartare as a starter, or in the form of a marmalade stirred into Inés Rosales pastry for dessert.